The four Valses oubliées are all wistful late works and, as their marvellous title suggests, conjure up images of times and joys past. Although they are as modern in their harmonic style as the late Mephisto music, they speak in a much gentler language. The first was an immediate success, and has remained so. 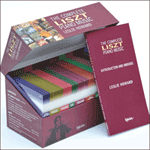 Liszt had it reprinted shortly afterwards with the second, which refers nostalgically to a passage from the Valse de bravoure, and the third, with its almost impressionistic colourings and repeated chords. The fourth became almost permanently ‘oubliée’ and the first publication was not until 1954. 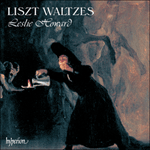 Like many of the visionary pieces of Liszt’s last years, the ending is enigmatic: a beautiful irresolution of a striving dominant seventh over the immovable keynote.